Weather/moon preferences, population preferences, and neighborhood choice are not restricted. Choose what you wish. Create a YA human, male sim. No occult! Traits are not restricted. Choose what you wish. 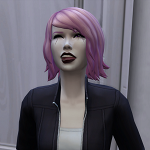 Lifetime wish is encouraged to be: Leader of the Free World; Become a Creature-Robot Cross Breeder; Scientific Specialist (University req); Renaissance Sim. However, it is not restricted. Choose what you wish. Lot size and World/Neighborhood is not restricted. Choose what you wish. Enter the Science or Politics Career. Reach all 2.1 mission objectives (goals) found below. Your alien child reaches YA. Move your YA alien child to a new lot from the one your first generation was playing. Choice is not restricted. Choose what you wish. This is the Sim you will now be controlling. Lifetime Wish is encouraged to be: Become an Astronaut; International Super-Spy; Perfect Mind, Perfect Body; The Tinkerer. However, it is not restricted. Choose what you wish. Career choice is encouraged to be Military or Law Enforcement. However it is not restricted. Choose what you wish. Reach all 2.2 mission objectives (goals). Move your YA alien child back to the same lot your first generation lived in. This is the Sim you will now be controlling. Lifetime Wish is encouraged to be: Surrounded by Family, Super Popular, or any NON career-related LTW. However this is not restricted. Choose what you wish. Career choice is not restricted. Reach all 2.3 mission objectives (goals). You die of old age, hopefully happy & content. Become chosen [abducted] by the alien league 3 times. Become pregnant and keep an alien baby via this choosing [abduction]. Abduct a citizen from town with the Spaceship for science. (optional)Propose marriage to an alien. (optional - University Requirements) Max the Science Skill. Have at least one child with Alien abilities. Have an alien best friend. Have at least one human-looking offspring. (optional)Complete a non-career related lifetime wish. Have a human best friend. Build the Close Encounters Academy/Embassy [non-residential]. Must be worth at least $100k simoleons. Lot type can be whatever you wish. ALLOWED: Motherlode and other money cheats EXCEPT during the Third Generation (Memorializing Heritage). ALLOWED: Mods that allow females to become pregnant by alien abduction (if there is one). NOT Allowed: Mods that are adjusted to cause more frequent abductions or higher % of pregnancies from abductions are not allowed. NOT Allowed: Mods that give skill or career advancement boosts are not allowed. NOT Allowed: Youth potions or age altering items/cheats are not allowed (unless being used on Alien's outside of the house, as TS3 Aliens have always been elders). NOT Allowed: Your Sims may not Try for Baby or Woohoo before getting married. +5 for any non-challenge related maxed skills. +5 Each additional alien pregnancy during the first generation. +5 Have an alien best friend. +10 acquiring the Alien Spaceship. Rawla had this genius idea, I just had to convert it. Plus making the medal for it was a lot of fun. Livvie did an awesome job converting it and she did great creating the medal. It looks great! Hope you have fun with this challenge if you try it. Yay! Have fun. You can do it!